Today, September 12, 2018, OKCoin announced that the company will be offering token-to-token only trading in twenty states across the U.S. This announcement of its expansion in U.S. markets comes shortly after OKCoin/OKEx founder Star Xu was questioned and released by Chinese police in connection with an alleged digital currency fraud. OKEx is the second largest global exchange by volume, according to CoinMarketCap, (though that volume has been called into question) and now OKCoin is hoping that its own volume will increase with low fees in a market-maker favored pricing model. OKEx was launched in 2014 to target peer-to-peer trading of hundreds of cryptocurrency pairs. The digital asset exchange was to supplant the 2013 version of OKCoin, which enabled Chinese Yuan to BTC payments. However, the past 18 months of regulatory changes amongst major economies have left OKEx unable to cater to investors and speculators in many countries, including the United States. OKCoin international was relaunched only in April of this year and had previously only operated in California as a fiat-to-token trading platform earlier this summer, so this token-to-token platform should enable a U.S. service to OKCoin previously denied to OKEx. Given its currently limited pool of tradeable cryptocurrencies (BTC, LTC, ETC, ETH, and BCH), it may be hard to differentiate OKCoin from U.S. mainstays. However, this limited pool may be why OKCoin has been able to secure Money Transmittal Licenses (MTLs) from twenty states in the first place. 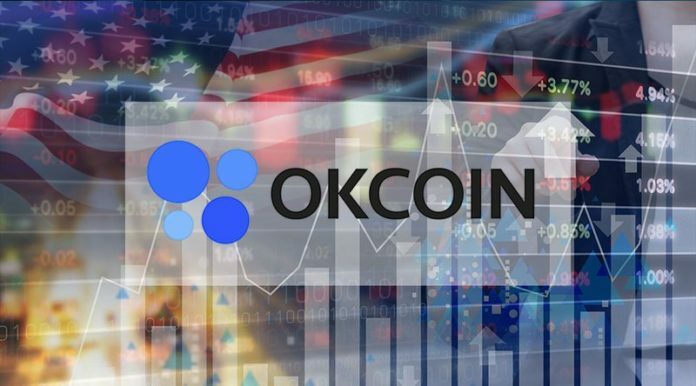 In its press release on the expansion, OKCoin states, “We have worked closely with regulators and researched regulations in every state to ensure that we are complying with Federal and State convertible virtual currency rules.” According to the same release OKCoin is in the process of applying for MTLs in the remaining states for both token-to-token and fiat-to-token trading. The new states include Alaska, Arizona, Colorado, Idaho, Illinois, Indiana, Kansas, Maine, Maryland, Massachusetts, Michigan, Minnesota, Missouri, Montana, Nevada, New Jersey, Tennessee, Texas, Utah and Wisconsin.